Sunday was a do nothing day. I think I’m tired. 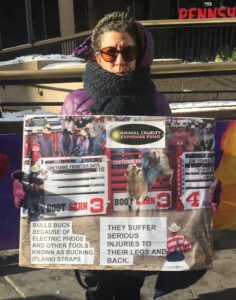 I tried to tour Madison Square Garden, but bull riding was happening, so they canceled the tours. I was surprised by the number of New Yorkers interested in bull riding. Leaving the building, I passed through groups of protesters. They were touting the mistreatment of bulls. I assumed they had never owned a bull nor originated from rural Colorado. I could be wrong. Monday, started out at a museum only to find it was closed. Not a good beginning. I switched to plan B and went to the Museum of Natural History. 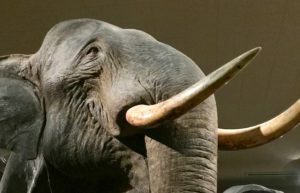 I’m not a fan of birds and reptiles and African animals, but I did enjoy the Hayden Planetarium show, Dark Universe, the Margaret Mead exhibits, and the Asian and African elephants. I sensed the museum was in need of money for updating and refurbishing; the birds, for example, were dusty and faded. It is a huge building, and I can only imagine the challenge of keeping it operating and staffed, let alone pristine. 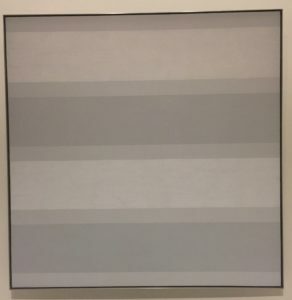 From there, I walked across Central Park and went to the Guggenheim Museum (Frank Loyd Wright building) and saw the amazing work of Agnes Martin. What a beautiful building and unusual venue for displaying art. 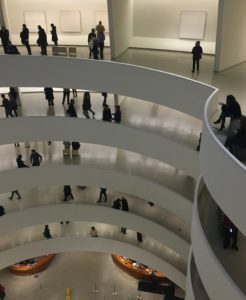 I walked up six floors on an open spiral ramp and could stop and view her small and large pieces without interfering with or being disturbed by anyone else. She painted for twenty years and never liked anything she did, so every year she would burn all her paintings in a bonfire. At the age of forty-four, she started liking her work and painted well into her nineties. Walking home, I stopped to see LION at the Paris theater, a beautiful single-screen theater. LION was a true story and full of varied emotions. I rated it a nine, and thanked it for being a respite for my weary body; the sidewalks were still icy, so my every step was calculated and unnatural. Exhausting, but I didn’t fall, so again, it’s all good.